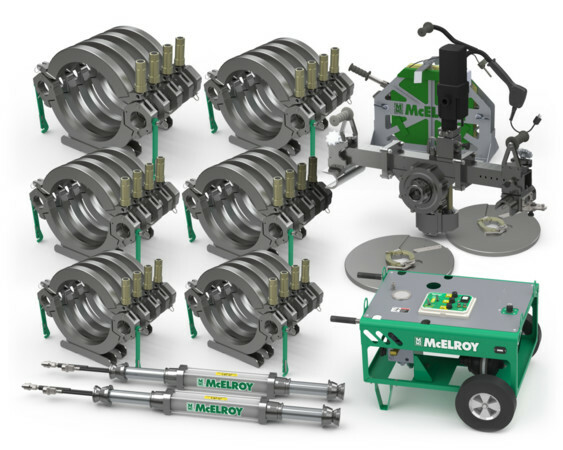 McElroy's Acrobat machines that feature the QuikFit™ carriage are size specific and are composed of lightweight, modular components so that the upper and lower jaws can be assembled around the pipe by hand. 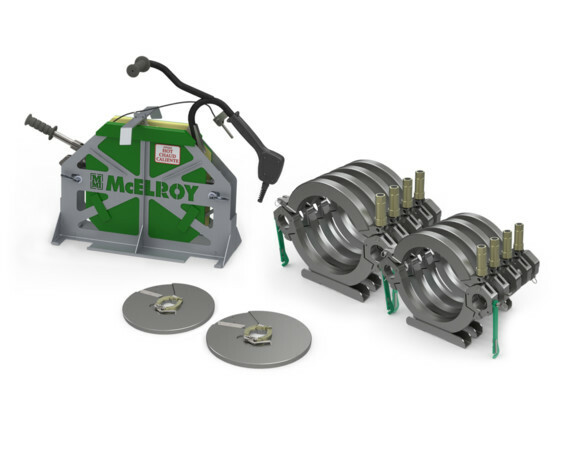 This eliminates the difficulty of lifting and fitting an entire carriage into a small space. It will fuse pipe in any orientation that is required on plumbing, mechanical and HVAC installations, including vertical and overhead. Includes 450mm and 500mm jaws, heater, facer blade holders and shipping container. Requires Core Package to assemble and operate fusion machine. 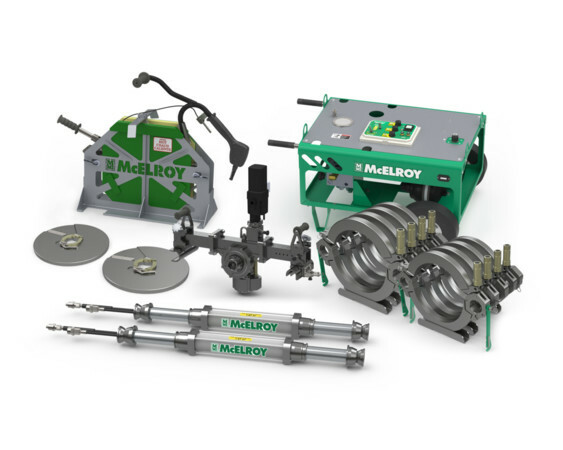 Includes 450mm and 500mm jaws, heater, facer blade holders, cylinder assemblies, clamp assemblies, carriage skid, facer motor, facer stand, heater/facer rolling cart, HPU and shipping container. Includes jaws for all sizes (355/400, 450/500, 560/630), heaters, facer blade holders, cylinder assemblies, clamp assemblies, carriage skid, facer motor, facer stand, heater/facer rolling cart, HPU and shipping containers. Used to heat pipe and fitting. All adapters have an anti-stick coating.